We are happy to announce the 6.4 Final release of OptaPlanner. OptaPlanner is a lightweight, embeddable planning engine written in Java™ to solve constraint satisfaction problems efficiently. It is released alongside the Drools rule engine and the jBPM workflow engine. The old style still works too, of course. 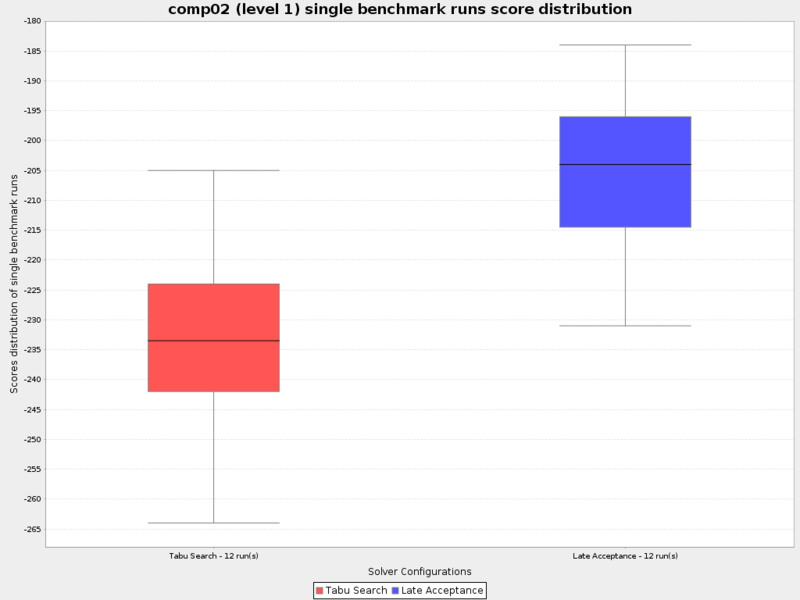 Statistical benchmarking allows you to rerun your single benchmarks multiple times. This can be useful to eliminate influences of the environment and verify the results of your benchmarks. To enable it, add the following line with a positive integer as a parameter to your <inheritedSolverBenchmark> or to individual <solverBenchmark> elements. It can now scale above 10k+ entities on normal hardware, as long as any distributionSizeMaximum is configured. Furthermore, it’s bootstrap performance is much better too for Local Search. OptaPlanner now supports kjars, so it can consume a kjar produced by OptaPlanner Workbench or deploy a kjar to OptaPlanner Execution Server at runtime. Assign meetings of different durations to starting times and rooms. Also see the blog about time scheduling design patterns. 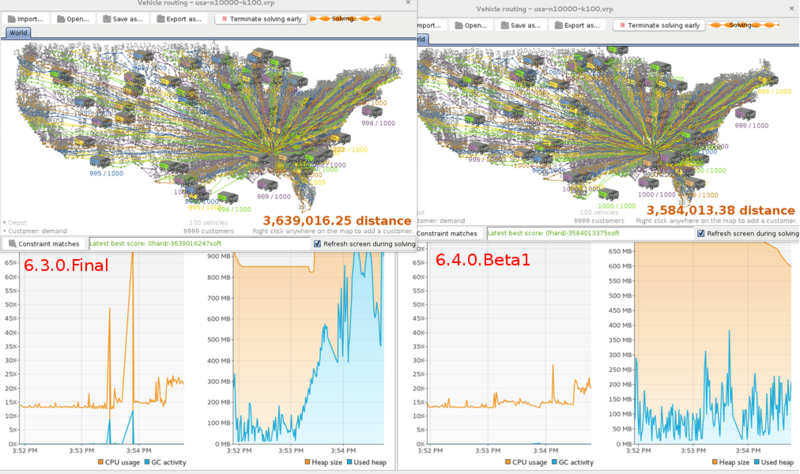 Benchmark warm ups now run in parallel threads, just like the actual benchmarks. Apache Camel’s camel-optaplanner 2.16 supports async solving, daemon mode and ProblemFactChange processing. Contributed by Bilgin Ibryam. A SolverFactory can now be cloned with cloneSolverFactory() to concurrently configure it dynamically per user request without parsing the solver config XML each time. The examples application has switched to a more modern look and feel. Several design patterns to deal with scheduling in time have been documented in the manual. To try out OptaPlanner Workbench, download and deploy the KIE Workbench war and create a user with the role plannermgmt. Note that a user with the admin role currently doesn’t see OptaPlanner screens yet. To try out OptaPlanner Execution Server, download and deploy the KIE Execution Server war and use the KIE and OptaPlanner REST API (both are currently documented in the drools documentation). It’s enabled by default (although it can be disabled with a configuration property).